I felt moved by the beautiful summer evening, and marveled at the colors of the sky as it faded into dusk. I parked my car and sang aloud before getting out. I wanted my voice to be warmed up because I was going to perform my original song “Beside Me Always” shortly. Summer would soon be drawing to a close and fall was approaching. I felt sadness enveloping my heart with the change of seasons. 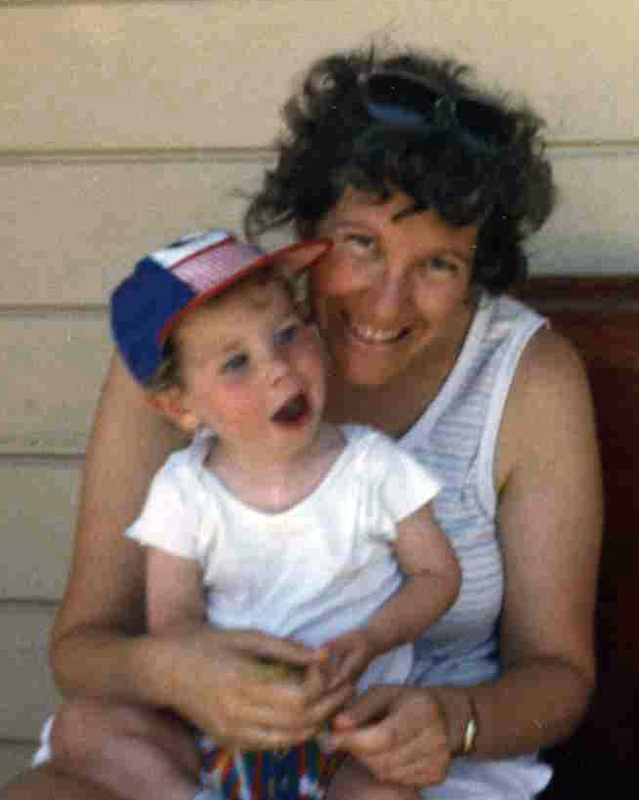 In early October, it was the anniversary of my first-born son, Jason’s death. It was poignant for me, as I recalled faint memories of 19 years earlier when I had cherished his last summer on earth. Playing my song “Beside Me Always,” allowed me to hold Jason close to my heart. Even with the anticipation of Jason’s death anniversary, I was filled with joy and an aura of peace. I walked carrying my guitar and felt as if I could almost fly; my heart was filled with music. There was nothing I loved more than sharing my passion and especially inspiring other people to know how happiness was still possible despite heartbreak. It was truly miraculous for me to recall how only two years ago I was so different. For decades, I lived a “zombie-like” existence. My grief, the constant stress and responsibility for many people in my life weighed heavily upon me. I was a sad middle-aged woman who completely focused upon taking care of others. But one day, my story became a real-life fairy tale. I discovered my love for writing and reconnected with many of my friends from the past. With my friends’ encouragement, I began to play my guitar again. 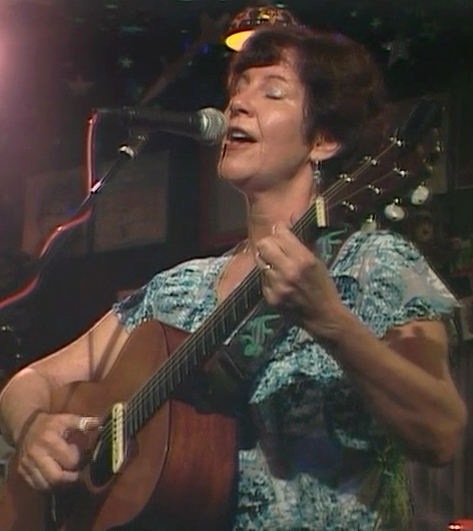 I had hardly played for thirty years and was a passionate songwriter when I was younger. Within a short time, I rediscovered all the songs I wrote during my youth. I began composing new songs and my sadness was replaced with happiness and joy. When I discovered the magical elixirs of writing and music, I transformed into a completely different person. It was truly as if my soul had moved into another person. Even the sound of my voice and the way I walked felt different for me. Still, my grief would never be forgotten and had changed me forever. 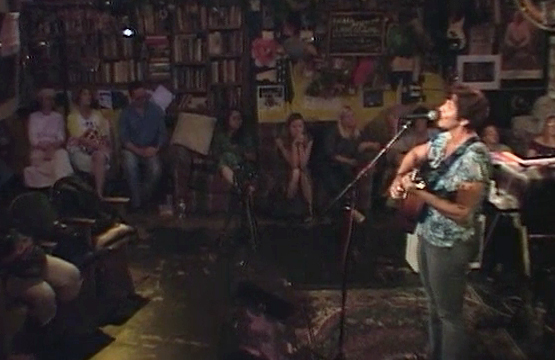 I was going to perform at Kulak’s Woodshed, an open mic venue that allowed a songwriter to play one song. It was an intimate room and an excellent opportunity for me to share my music. It was a little over a year ago when I began to perform my songs there. As I walked closer toward Kulak’s, people began to smile at me and call out my name. I was no longer an anonymous middle-aged woman who was relearning how to play a dusty guitar after thirty years. I had a new identity now; I was the singer who shared her heartbreak with sincere lyrics. People were touched by my genuine honesty and vulnerability. I felt courageous when I first started performing; I hadn’t performed much when I was younger. 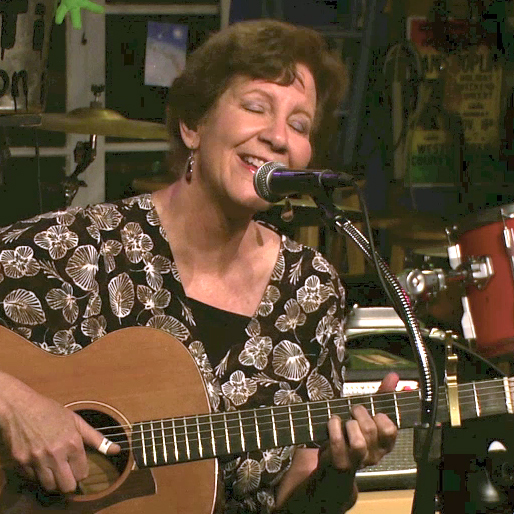 Because I had not sung or played my guitar for thirty years, it was completely new territory for me. My heart would pound like a freight train and sometimes my voice was so shaky that I would hear myself croak. I dedicated myself to performing because I was passionate about my music. Within a few months, my panic was replaced with calmness and the desire to simply sing from my heart with passion. As I patiently waited for my turn, I closed my eyes and searched for emotions that would help me find my “vibe,” another word for the “mood” of a song. My eyes closed as I recalled song lyrics that filled my mind with vivid imagery. I pictured my words traveling through a filter deep within my heart before they exited my mouth. Sometimes I cried when I sang. There were still a few minutes left before it was my turn to perform and it was time for me to remember Jason . . .
Jason was my beautiful, first-born child. 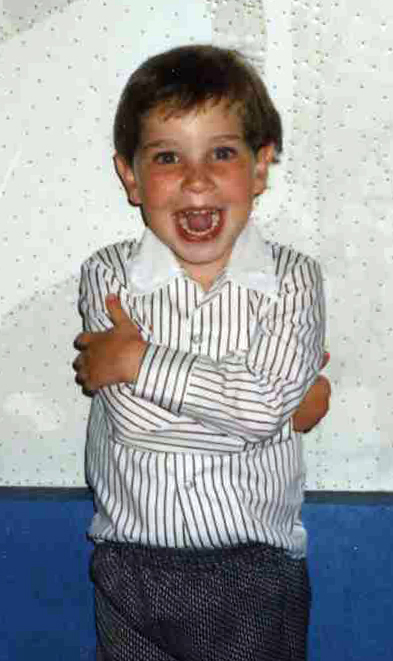 In 1992, he died following open-heart surgery and was frozen in time at the age of 5. Even though I was given excellent odds for him to survive his surgery, I had a premonition that his life was very delicate and his time on earth precious. He was so small and had tousled curly locks of light brown hair. His freckles were like cinnamon speckles dusted over his face. Clear blue eyes sparkled with enthusiasm and he had an infectious, sweet giggle. When I held him, he felt connected to me. I was his comfort and he was mine. He would gently rest his head upon my shoulder and I could feel his heart beating next to mine. I preferred to remember him that way, because for such a long time I had traumatic flashbacks instead. The familiar torment I had learned to live with was a reminder of how death stole him from me. 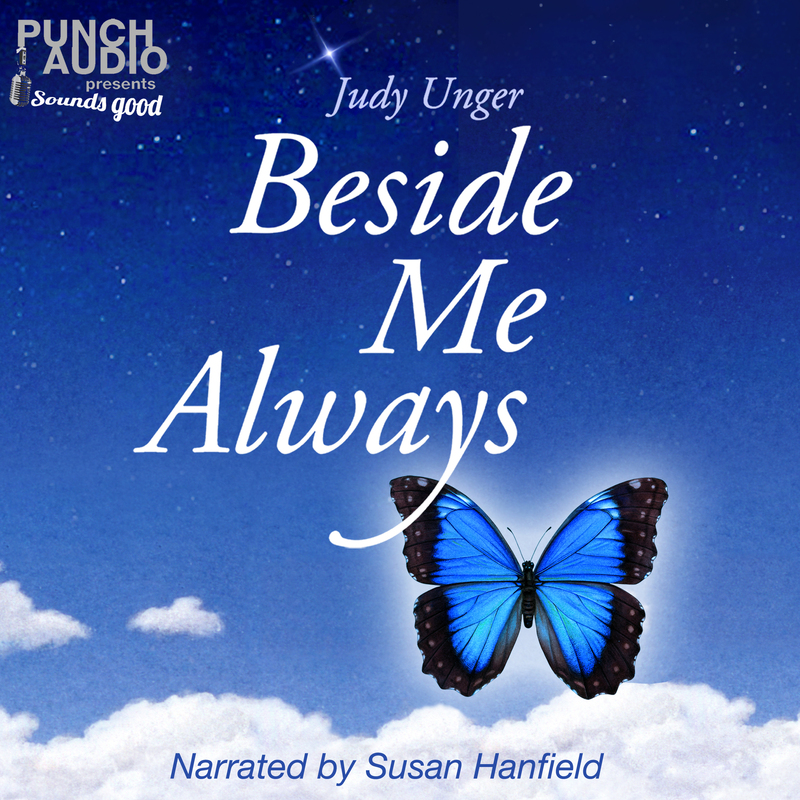 I remembered how I used to play my song “Beside Me Always” for other bereaved parents. With that thought, grief once again began to rip through my heart. I allowed for it because I knew it would help me find the vibe I needed for my song. My flashback was sharp and felt like a razor blade cutting into my heart. All of the emotions surrounding Jason’s death overwhelmed me . . . I traveled back in time to shortly before Jason’s funeral would begin. I sat on a hard, cold bench in a stupor. Beside me were my parents and my husband. We had all taken medication offered to us by a good friend whose husband was a psychiatrist. My friend wanted so desperately to help me and arranged to quickly get me a sedative the day after Jason died. I never liked taking any kind of medication. But I took those pills and freely shared them with my family; all of us had no idea how to survive the pain of grief. Being in shock was eerie and I felt like it wasn’t possible for me to be living the nightmare I was experiencing. The image of Jason’s dead face from two days earlier haunted every waking moment. As I sat waiting for the funeral to begin, I was desolate. My courage evaporated because I had an opportunity to see Jason one last time before his coffin was closed. I wasn’t able to do it. I gave my husband instructions and handed him a few items to leave inside the coffin: Jason’s favorite pacifier and some special pictures. I was glad I hadn’t denied Jason his pacifier at the age of five; it gave him comfort. His life was so short that it hadn’t mattered whether he outgrew the habit. My husband came back after saying his last goodbye to our son, and I needed to hear about what I had been unable to do. His statement caused me to imagine things that were probably worse than if I had actually been there. I gasped when he explained that the pacifier could not fit into Jason’s stiff mouth. His teeth were clenched too tightly. My husband said that instead he placed it into Jason’s tiny, curled fingers. Salty tears started to collect in my throat. I needed to control my thoughts now or I might not sing well. My name was announced and it was my turn to sing. I stood up, walked over to the microphone and readied myself to begin. As I took a deep breath, a gentle softness filled my heart. This was written during my first year of bereavement. This link is audio of my voice teacher, Peaches, and I discussing my performance. This entry was posted in Grief Stories and tagged acoustic guitar, child's death, compassionate friends, composing, creativity, death, death of a child, drowning from grief, grief, grief and healing, grief bereavement "Loss of a Child", GRIEF RELATED, guitar, healing, healing music, hope for healing, hope of healing, inspiration, Judy Unger, Kulak's Woodshed, Kulak's Woodshed performance, loss, lovesong, lyric development, lyric writing, lyrics, Music, music and healing, My Tears Filled An Ocean, optimism, original songs, performing, singing, songwriting, Torture of grief, voice lessons, writing. Bookmark the permalink.